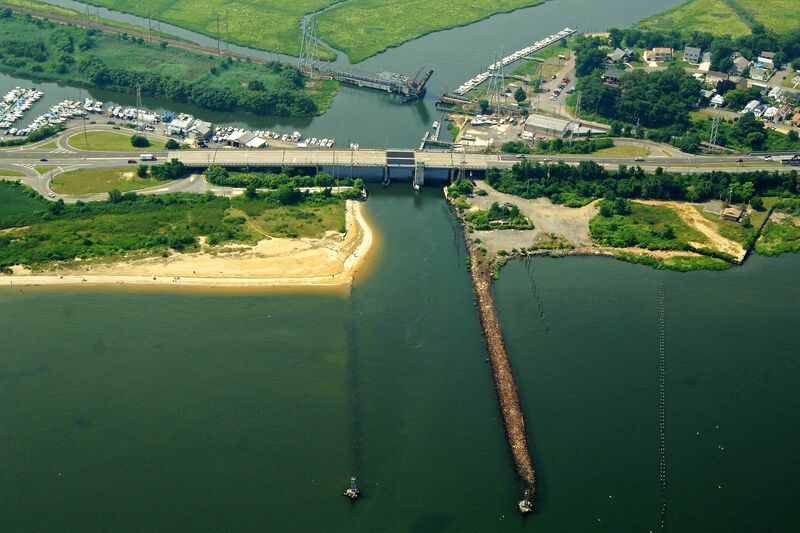 Cheesequake Creek is located off Raritan Bay near the south end of Staten Island behind the town of South Amboy. One of many creeks that break off the southern shores of Raritan and Lower bays, Cheesequake Creek is 20 miles south of The Battery on Lower Manhattan and 13 miles east of Sandy Hook. 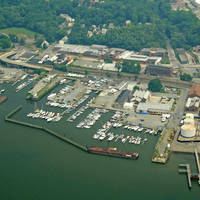 Cheesequake Creek has a variety of marine facilities in two creeks. Chessequake Creek runs straight back from the inlet while Stump Creek breaks off to port after you clear the state Route 35 Bascule Bridge (25-foot closed vertical clearance). The Army Corps of Engineeers reported survey depths of more than five feet for Cheesequake Creek in 2003, but a glance of the chart oddly shows spots with depths of two feet or less. We recommend not trying this creek unless your vessel draws less than four feet. Approach is simple. 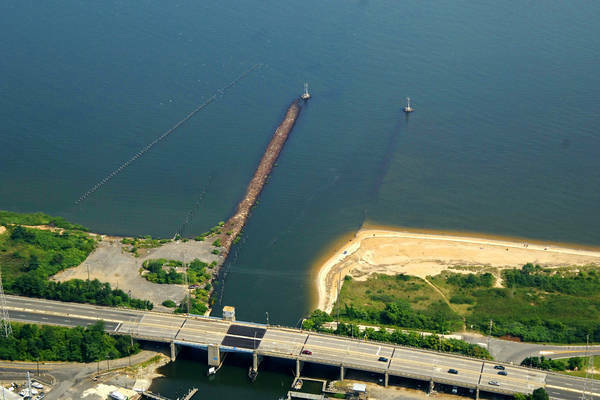 From Raritan Bay, set a course for flashing green 1 and flashing red 2, which mark the east and west inlet jetties, respectively (the east jetty is submerged). 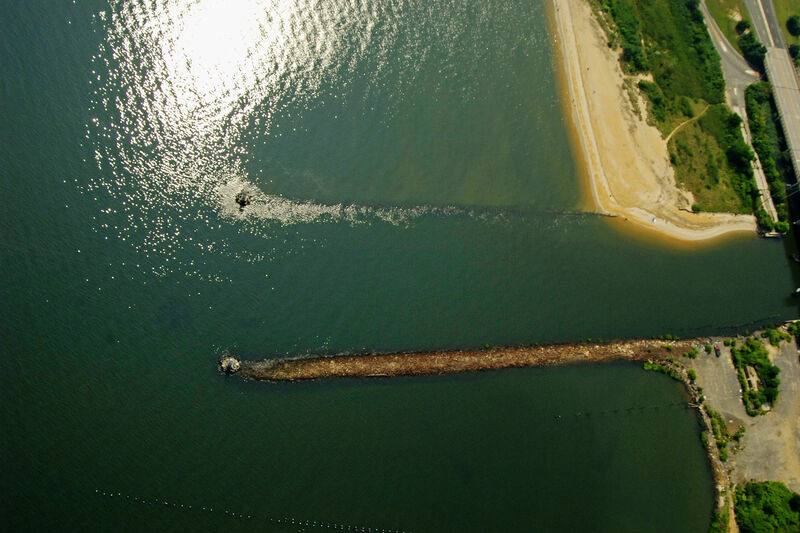 Once you have cleared the jetties, the first navigational obstacle you will encounter on Cheesequake Creek is a bascule bridge with a 25-foot closed vertical clearance. Radio ahead to the bridgetender on VHF Channel 13 for a briefing on opening hours before your arrival. Past the bascule bridge, Stump Creek breaks off to port, while Cheesequake Creek marches straight ahead under the Cheesequake Creek Railroad bascule Bridge (3-foot closed vertical clearance), which is usually left in the open position unless there is rail traffic approaching. 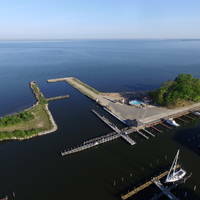 Stump Creek has two facilities and both of them have transient slips available to visiting boaters. 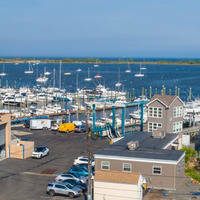 Straight ahead on Cheesequake Creek are two more marinas with both repair and transient facilities. In order to reach the facilities on Cheesequake Creek, you will first need to clear the Cheesequake Railroad Bascule Bridge (3-foot closed vertical clearance), which is usually left in the open position unless there is rail traffic approaching. No reviews yet! Be the first to write a review of Cheesequake Creek Inlet.